Advertising, click on the Events tab, click on Advertisers. Patron Donatations online now. Please click on "Donate" in the navigation bar or go to the "Events" page and click on "Patrons/Donate" submenu or click on this link the Events tab, click on Patrons/Donate. Ticket Purchase - click here! On sale now! Home Tour Invitation - click here! Last Year's Home Tour was a great success! Save The Date Flyer! Download to print or e-mail to a friend. Have a Night on the Town in 2019! Or Contact Elaine Bauer, elaine.bauer@verizon.net , to pay by check or cash. 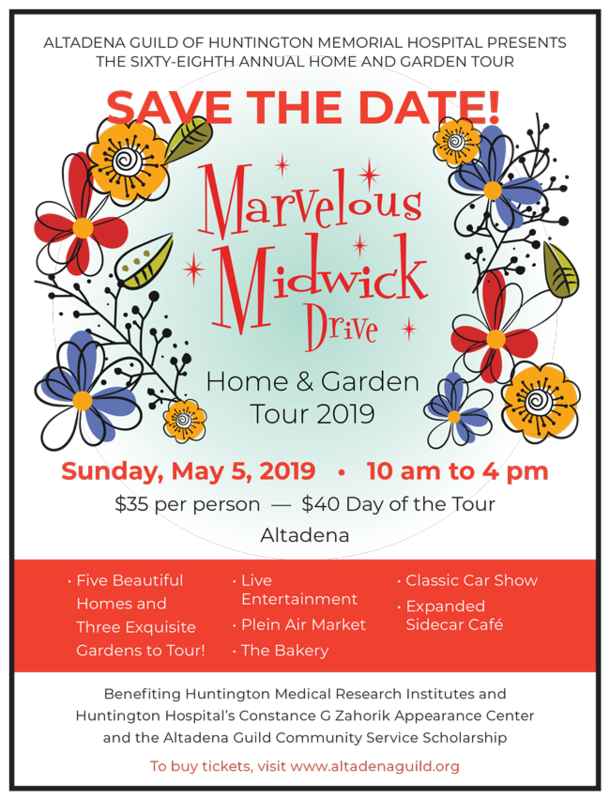 Please make check payable to Altadena Guild of HMH. Click here to see form with more instructions. 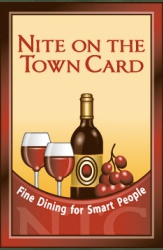 For just $25, get a discount dining card that will save you up to 50% off many, many local San Gabriel Valley restaurants. It pays for itself after one or two uses!